Across the world, a confidence crisis among generations is happening. Some generations believe the best leadership years are still to come. Some believe the best leadership years are happening right now. Some believe the best leadership years have come and gone. -Bring out the best in them and the best between them and others. -Help them to discover, share and celebrate their unique skills, talents and capabilities with others. -Positively inspire, instruct and influence their lives and the lives of others. -Unite rather than divide people. All generations deserve the best of and the best from leadership. This can happen by having leadership fit individuals, groups, schools, colleges, universities, organisations, businesses, governments and communities-prepared, ready, willing and able to meet the current and future needs of all generations. And it can start today! This book will connect with the hearts and minds of people like you, concerned about the leadership hopes, expectations, needs and aspirations of all generations. It is a fresh approach and a living resource for today's leaders-united in their efforts to positively impact the lives of tomorrow's leaders. Your confidence in your own leadership abilities and those of others will soar from reflecting on and applying information found in this book. This book is a 'leadership game-changer' for all generations, now and for tomorrow. Edward (Eddie) Watkin is one of Australia's leading facilitators and highly respected leadership educators. He is a leadership entrepreneur, coach, mentor, strategist and speaker and has worked one-to-one with individuals through to influencing gatherings of hundreds of people. Eddie's passion is to build, strengthen and advance better leadership connections between everyday people. He has changed the way leaders connect to others, and changed the way people want to connect to leaders. "Eddie Watkin understands how great leadership can transform situations and create partnerships that make a real difference. He combines passion with experience and I know this book will help many leaders, Indigenous and non-Indigenous alike, to realise their full potential." "A technically brilliant piece of work demonstrating Watkin's practical and inspirational life teachings. 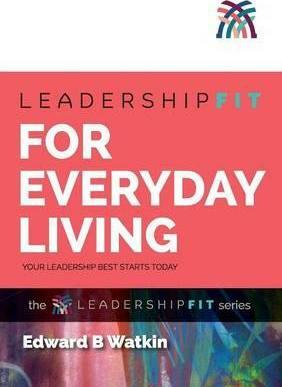 This book is a must for every trainer, facilitator and participant in their journey toward strong leadership."